During his ascendency in the Nazi party, Adolf Eichmann, the purported engineer of the “Final Solution,” bragged about his power. During his 1961 trial in Jerusalem for crimes against humanity, however, he changed his tune, claiming to be but a small cog who was “just following orders.” But as Deborah Lipstadt points out in her thought-provoking new book, a machine will break down if even a small cog doesn’t do its job. 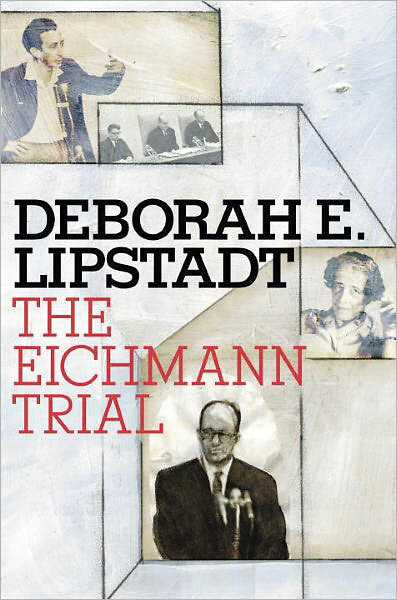 Lipstadt, the Dorot Professor of Modern Jewish History and Holocaust at Emory University in Atlanta, reports on events before, during, and after the four-month trial, from Eichmann’s abduction from his hideout in Argentina to the recognition of the Holocaust as an academic discipline. The situation was fraught with logistical, philosophical, and legal questions from the start: What right did Israel have to kidnap Eichmann? (And, anyway, why not just assassinate him and be done with it?) For that matter, what gave the Jewish state — which didn’t even exist until after World War II — the right to conduct the trial at all? How could Eichmann receive a “fair” hearing (the proceedings were conducted in Hebrew with German, English, and French translation); wasn’t the verdict a forgone conclusion? Some of these questions were asked not just by a thoughtless international anti-Semitic contingent of commentators, but by Jewish leaders in the Disapora as well, leading to an uneasy “family squabble” over who should serve as spokespersons for Judaism. The three-judge tribunal had its hands full, trying to rein in attorneys for both the defense and prosecution as the world watched with mixed interest (the dramatic headlines were soon replaced by those announcing Yuri Gagarin’s rocketing into space for the Soviet Union and the Bay of Pigs invasion). 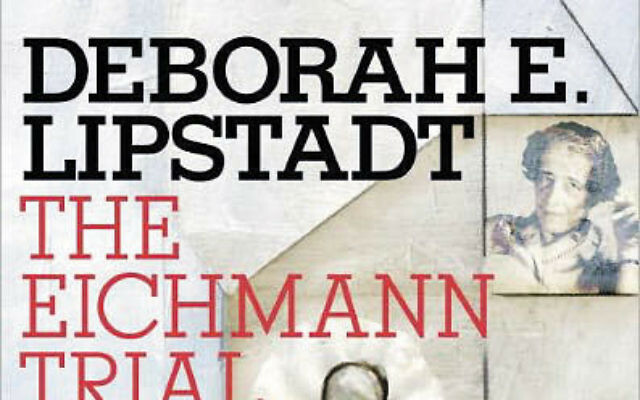 In many respects, Lipstadt presents The Eichmann Trial almost like the coverage of a sporting event, with one side ahead on points and the other reeling from the blows and trying to stage a comeback. Both sides made their share of procedural errors: Eichmann’s lawyers protested the testimony of survivors who had no direct connection to their client, fretting that the horrific stories would be prejudicial. The defense complained about Eichmann’s “labyrinthine, expansive nonresponses” to the simplest yes/no questions despite admonitions from the judges. The book does not end with the death of Eichmann, a sentence hotly debated by the judges. Lipstadt feels compelled to devote an entire chapter to Hannah Arendt and her series of articles about the trial that appeared in The New Yorker. Arendt roundly criticized the whole affair, seeming to echo the “blame the victim” school of thought: It was the Jews who were responsible for their own plight, either by tacitly cooperating with the Nazis, by not fighting back rather than be sent to the camps, or by not rebelling once they were there. She earned the enmity of many who branded her an anti-Semite and provided fodder for those who would later deny the Holocaust (Lipstadt had to defend herself in a British court in a suit brought by David Irving for comments she made about him in her 1994 book Denying the Holocaust: The Growing Assault on Truth and Memory). If Arendt was not defending Eichmann, she was certainly criticizing the proceedings. Despite the hostility Arendt’s writings may have engendered, that chapter seems out of place. So what was the ultimate outcome of the trial other than Eichmann’s execution? For Lipstadt, it was the coda, the recognition of what had happened to six million Jews during the Nazi regime and the adoption of the term “Holocaust,” which was “cemented into the lexicon of the non-Hebrew-speaking population when the court translators used it throughout the trial.” If nothing else, she concludes, it will serve as a lesson of telling the world their stories for future generations and other peoples — such as the Rwandans — who sadly have had to deal with their own Holocausts.